Riesentraube cherry tomatoes, weighing about a half an ounce or 3/4 an ounce. Earlier this season they were averaging 1 to 1 and 1/2 ounces. I pulled up this tomato vine today, ending the tomato season for the year. 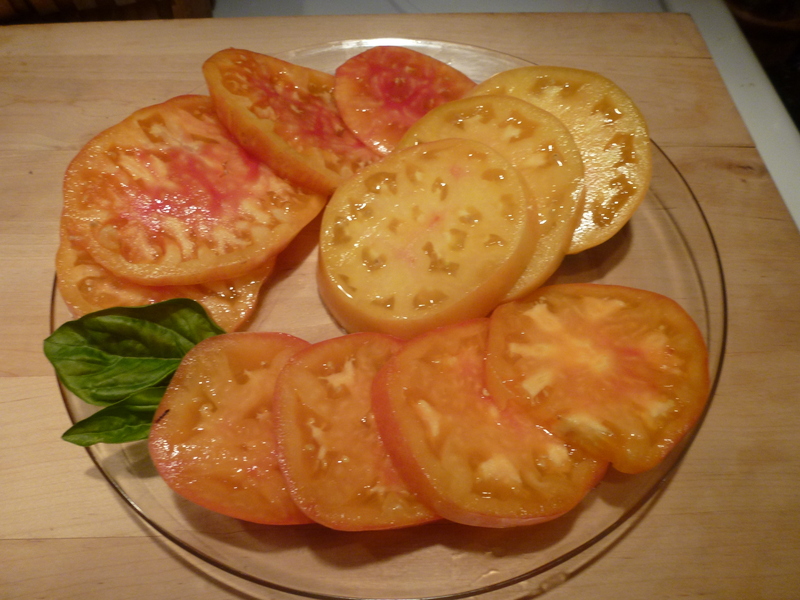 The beautiful bicolor Copia tomato was producing half pound fruits in my garden. 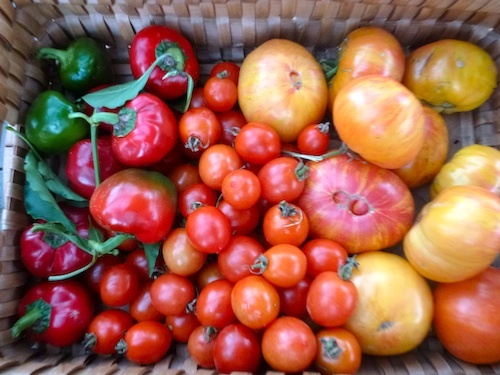 Other gardeners bragged about one pound fruits. I will grow these again because they are meaty and have few seeds. Sweet and mild red cheese peppers. Use them like you do bell peppers. They make cute little stuffers. 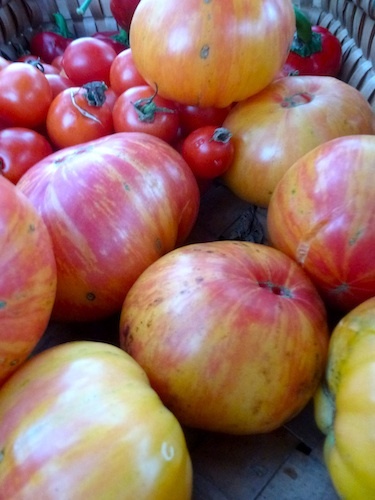 Copia, bicolor, full, juicy tomatoes. Thin skins, few seeds and generally yellow with red streaks. Copia tomatoes do not grow or look the same. These slices all came from the same tomato vine, picked the same day.